From the majesty of the River Thames to the peaceful countryside of the Kennet & Avon Canal, the waterways of southern England offer narrowboat holiday-makers the chance to enjoy some of Britain’s best loved countryside, as well visit iconic cities like Bath and Oxford. Passing through the southern foothills of the Cotswolds, along the edge of the ancient Savernake Forest and through the North Wessex Downs Area of Outstanding Natural Beauty, the beautiful Kennet & Avon Canal offers canal boaters the chance to visit historic towns and villages, and the World Heritage City of Bath. The River Thames combines scenic splendour, with riverside pubs and world class heritage attractions, including Windsor Castle and the Bodleian Library in Oxford. There are gastronomic delights to enjoy along the way, including the village of Bray with Heston Blumenthal’s famous Fat Duck restaurant and the Roux family’s Waterside Inn. 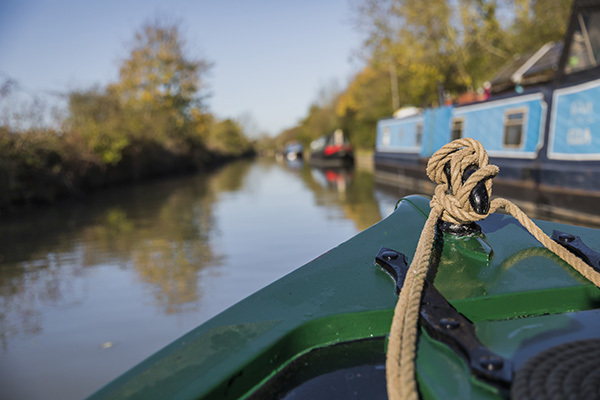 Meandering gently through the English countryside, the Oxford Canal follows the contours around hills, and is dotted with pretty villages, rural pubs and nature reserves. On a short break (three or four nights) canal boaters can travel along the Kennet & Avon Canal to Georgian Bath and back, passing through the historic market town of Bradford on Avon along the way, and across the beautiful Bath stone aqueducts at Avoncliff and Dundas. 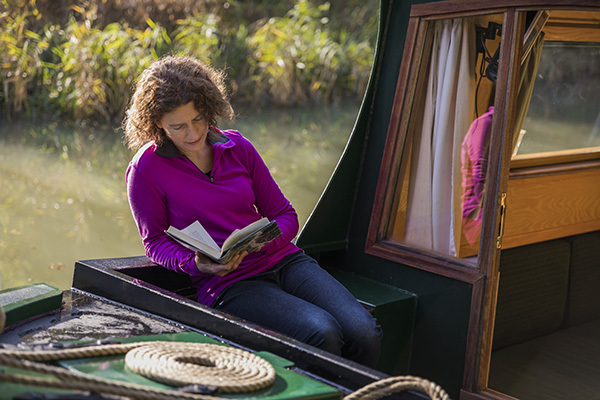 On a week’s break, holiday-makers can cruise along the Thames to Oxford and then transfer onto the Oxford Canal to meander through the Oxfordshire countryside, stopping off along the way to enjoy meals at historic canalside pubs like the Boat Inn at Thrupp. Weekly breaks usually start on a Friday or a Saturday. 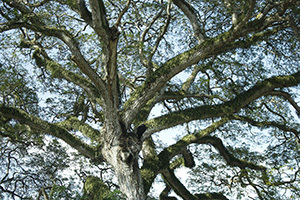 In the Southern Region there are dozens of ‘out and back’ week long holiday options. Some are perfect for beginners, with few locks and plenty of time to explore local attractions. While others are more challenging and will leave less time for sight-seeing. 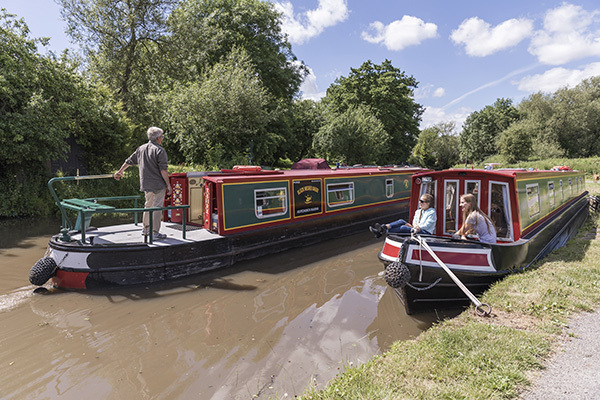 On a two-week break, cruise along the Kennet & Avon Canal to the historic market town of Hungerford and back, travelling up the extraordinary flight of locks at Caen Hill, through the beautiful Vale of Pewsey dotted with Prehistoric features, and a string of quiet villages with traditional pubs. If you have 10 days, two weeks or more to explore Britain’s beautiful inland waterways, you can plan to travel further or build in time for more for more sight-seeing along the way. In Southern England, this would for example give you time to explore large sections of the River Thames, the Kennet & Avon Canal or the Oxford Canal. The Roman Baths in Bath was once one of the greatest religious spas of the ancient world. 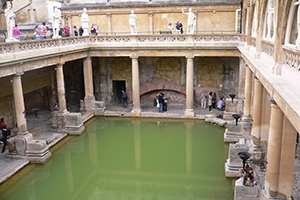 Today visitors can tour the Sacred Spring, Roman Temple and Roman Bath House to learn about the people of Aquae Sulis (the Roman name for Bath) and their goddess Minerva. 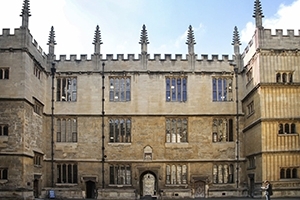 The beautiful Bodleian Library in Oxford, with stunning 17th century Schools Quadrangle, is one of the oldest libraries in Europe and home to over 12 million printed items. 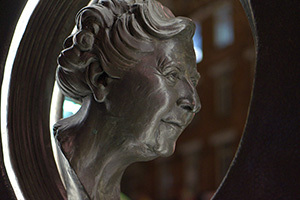 The Agatha Christie Trail in Wallingford is a five-mile long trail running from the famous English crime novelist’s home to her burial place in nearby Cholsey. 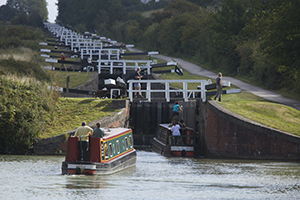 With 16 of its 29 locks falling in a straight line, the Caen Hill flight of locks on the Kennet & Avon Canal at Devizes in Wiltshire is visually the most impressive in the country. The ancient Savernake Forest is home to over 7,000 ‘Ancient’, ‘Veteran’ and ‘Notable’ trees, including the Big Belly Oak believed to be over 1,100 years old. 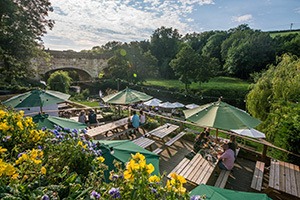 Dating back to the 17th century, the Cross Guns pub at Avoncliff has idyllic riverside gardens offering panoramic views of the foothills of the Cotswolds and John Rennie’s stunning Bath stone Aqueduct. 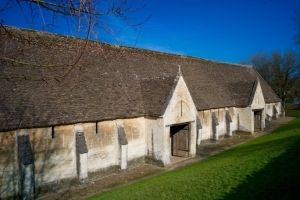 At 51 metres long, the magnificent 14th century monastic stone Tithe Barn at Bradford on Avon, with an amazing timber cruck roof, is one of the largest medieval barns in England. 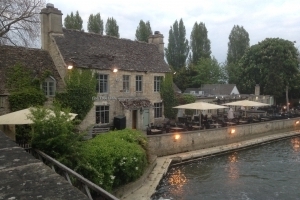 This delightful 17th century pub next to the River Thames at Wolvercote, close to Godstow Lock, was regularly visited by the writer Lewis Carroll and Collin Dexter’s Inspector Morse.